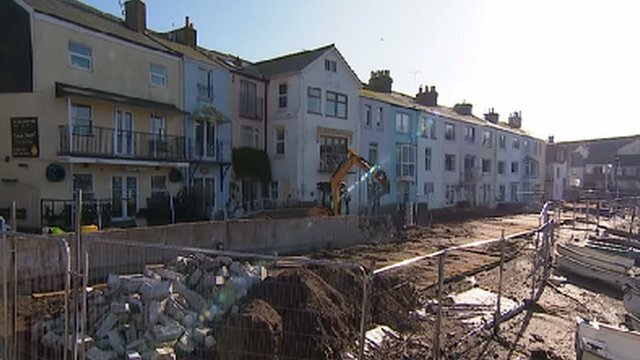 The construction of £4m flood defences to protect a Devon resort is under way. Flood defence walls, flood gates, ramps and steps are being constructed in Teignmouth. The Environment Agency said the aim was to protect the town centre and beach areas, as well as minimising the flood risk to more than 600 properties. The work is expected to complete by the end of July.